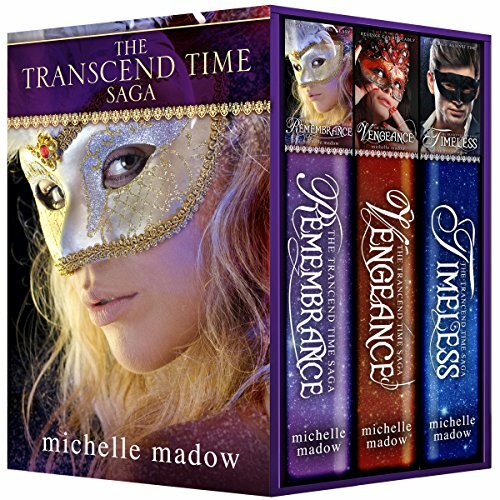 This box set includes all three parts of The Transcend Time Saga. Lizzie Davenport has been reincarnated from 1815, England...but she doesn't know it until she meets her soulmate from the past and he triggers her memories to gradually return. When Drew Carmichael moves to Lizzie's town, she feels a connection to him, like she knows him. But he wants nothing to do with her. She knows she should let go of her fascination with Drew, but that gets harder and harder as memories of her past life return. And the more Lizzie remembers, the more she's determined to unravel the mysteries of the past...no matter how deadly those secrets might be. The Transcend Time Saga is a fantastic story and journey for characters and readers. Remembrance is the first book, and oh my goodness, I have goosebumps just thinking about the tale. 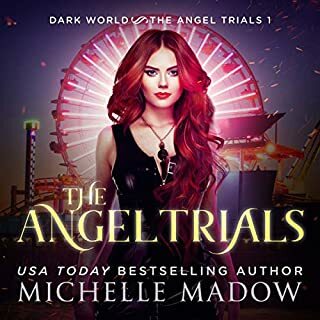 Michelle Madow is a familiar author to me, and she has a knack for her craft. Lizzie Davenport and Drew Carmichael are the perfect match. As Lizzie slowly remembers her past life, and memories of Drew flood her mind, it is so beautifully put how everything falls into place. Andrea Emmes is familiar to me. I've listened to quite a few of her narrations and loved them. She portrays Lizzie in a way that I did not find myself while reading the book prior to listening to the narration. Andrea has a wonderful voice and I always want to meet the characters she narrates because they feel real to me. She is definitely a great match to Michelle's writing. Loved it. Second installment to The Transcend Saga, and it had me going for a moment. Mainly because I was so annoyed with Drew's ex-girlfriend, Chelsea. I mean, I think I could sympathize with her. She lost her boyfriend. She's back with a vengeance. Hence the title. Chelsea is pissed off. I guess I would be too, but because I fell in love with Drew and Lizzie in the first book, I'm a bit partial to them. Chelsea is not terrible, the entire story works and gets you animated. Michelle Madow has skills!And again, Andrea Emmes. It's cool how she can narrate a different character and still be within the same parameters of a story. Because, Vengeance follows a slightly different situation, but is still within the same aspect of magical realism, time travel. She's amazing at what she does. Third and final book in the Transcend Saga. In the second book, Chelsea returned Fate to it's original course. This book returns to Lizzie's POV, and everything is okay at first, until the change takes place. So, her relationship with Drew is no more. Everything is out of whack and it makes you not like Chelsea again. The audio had me going crazy. It is always a different experience to listen to a story being read to you. Rather when you are reading it yourself. Which is fantastic. This audiobook is fantastic. If you haven't listened or read it yet, get on it! I absolutely loved this book! I really enjoyed the mystery - waiting to find out what was going to happen with Drew and Lizzie, as well as waiting to find out what happened with them before. I loved the concept of a past life, especially the way Michelle Madow wove it into Pride and Prejudice (one of my favorite Jane Austen novels). Of course, it's the first in the series so I was left grabbing for more at the end (and had to hastily pause my audiobook before it continued to Vengeance so that I could process the mass of content from book 1). Okay, characters . . .
Chelsea - You know, for someone who is supposed to be Lizzie's best friend, she spends so much time focused on herself. It's always &quot;hey Lizzie, look at me and Drew&quot; or &quot;me, me, me&quot;. Both Chelsea and Jeremy go on and on about Lizzie changing once the school year starts (and Drew shows up), but neither one of them seem to notice anything other than how it affects them. Jeremy - what a douchy loser. I hated his character. He was so needy when things would go rough and so self-centered and conceited when they were good. Maybe he's a typical jock, I don't know. But I just didn't like his character at all. I think it was more than jock-y-ness. I, personally, don't want to see too much of him in the other two books. Lizzie - I really enjoyed her character, and not just because she's the main character. She tried to do the decent thing (when Chelsea started dating Drew) and kept her feelings for him as hidden as she could . . . not that Chelsea paid her any attention. I definitely saw her character growing throughout the book, embracing her past life and everything that happened with Drew. Alistair - oh, he was my favorite character, by far! The narration portrayed him perfectly and I just loved him! You could tell from the first time Lizzie meats him that there's something he's not telling her. And his character just gets more entertaining with each encounter! Narration - oh, it was done perfectly! Andrea Emmes did a great job! I loved how she was able to change her voice just enough that you really didn't have trouble distinguishing between characters. And it was consistent - if she changed her voice once, it was always like that for a certain character. Her pacing was great and with the narration, on top of the story, I really enjoyed this book! Let me start by saying that I am 100% NOT on Team Chelsea. And if it’s possible, this book made me hate her even more. Do you know what I heard every time Chelsea opened her mouth? Jan Brady. Yes, that’s right . . . “Marsha, Marsha, Marsha!” She is a jealous, vengeful, whiny little snot! Oh, and I know they’re both supposed to be guides and all, but Alistair is far less creepy than Shannon’s great aunt! And, if we’re going to call a spade a spade, I’m still trying to figure out what Shannon’s angle is – she’s just as manipulative as Chelsea is turning out to be! So, she goes to see Shannon’s great aunt to figure out how to get Drew back. Well, in the old timeline, Lizzie dies so Drew and Catherine end up getting married. All Chelsea sees from Madam Creepy Guide is that she ends up marrying Drew. So, Chelsea does this little spell to make things turn out the way they did last time. There’s just one little catch that she doesn’t think of – for that to work, Lizzie has to die! I know Chelsea is conceited and self-centered and whiny and so many other things but is she really evil on top of it? Does she really want her best friend DEAD? Chelsea has made it onto my list of Favorite Characters You Love to Hate! So don’t get me wrong – just because I hate Chelsea doesn’t at all mean I hate the book. I absolutely loved this one (well, not as much as the Lizzie centered ones but still, very much love here!). The writing and narration were excellent. Michelle Madow did a great job creating Chelsea to be such a hate-able character and I loved how Andrea Emmes portrayed Shannon’s creepy great aunt. Gave me chills! In Remembrance, I thought Chelsea was a pretty whiny, cruddy friend. In Vengeance, I was 100% NOT Team Chelsea. Now, thanks to Chelsea and her short-sighted selfishness, the three of them have to go back in time to stop Lizzie’s past self from dying an untimely death. Way to go, Chelsea. I still don’t like Chelsea. This book was written just as well as the other two. I enjoyed the characters . . . well, most of them. Still NOT Team Chelsea. I loved the time travel addition to this book, as it gave a whole new level to this world. And with plot twists thrown in that I really didn’t expect, this book wrapped up the trilogy perfectly. I assumed they would just make Chelsea undo the spell and that would be it. Nope. No easy cop-out. It almost read like an old murder mystery, with the suspense and suspicion. I was glad that I read Black Bird of the Gallows a while back because the book starts out with Lizzie being attacked and followed by crows. Harbingers of death. Omens of very bad things to come. Yep, all Chelsea’s fault. Timeless was a great conclusion to the trilogy, wrapping up all loose ends well. And the narration – Andrea Emmes did a fantastic job again! I love the way she changes her voice for the different characters and this book was definitely fun because a big part of it was set in England. Very entertaining by both author and narrator! Narrator Review . . . Andrea Emmes’ voice was the anchor I was looking for. She gave cadence a new view. I enjoyed how she carried each character forward with the characterization she gave each one. Cadence, pitch, clarity all carried forward with the change in the speed. The audio was smooth and quick. REMEMBRANCE (The Transcend Time Saga, #1) . . . I fell in love with the evolving aspect of the relationships her. We are in a world where relationships grow and flourish, some grow and the drift apart. There characters had depth. There was no one dimensional characters. Lizzie was a complex person. High school has a way of making you feel like you are all alone in the world, even when you have friends. The was much to this YA that you really needed to pay attention to what was going on and to whom. There was a cast of characters to latch on to including but not limited to Lizzie, Jeremy, Drew, Keelie, Chelsea, Amber, Shannon, and other. This was high school. Or was it. Things for Lizzie begin to change and flow. There are things that I don’t like about this read. Falling for your friend’s boyfriend, wanting another while you are with someone else, but these things happen in teen life and it carries through her with the same bout of accuracy. The flashbacks are the interesting points of Lizzie and Drew’s relationship. I found the past more interesting than the present. Time-transference, historical, high school, romance, love, reincarnation, repetition. VENGEANCE (The Transcend Time Saga, #1.5) . . . This was a very quick look at Chelsea's view of things. We spend a lot of time within Chelsea's thoughts and her trying to cope with what is happening around her. Her exs, best friends (Lizzie) and boyfriends (Drew). Her dealing with what see feels is a betrayal. TIMELESS (The Transcend Time Saga, #2) . . . Final installment in the Transcend Time Saga filled with young adult angst, drama, foolishness, and more. I was not so forgiving of Chelsea as Lizzie and Drew were. I found it hard to trust her or her motives in all dealings with her. There was more connection to the events of the past in this one than in the other two. There were some things during the read that I found fault with but they worked for the story. This was not a long drawn out read. This read matched the simplicity of the first two and there for left you feeling like things could have went in different ways. This was a way for new comers to YA fantasy to get their feet wet. It was not over the top nor was it scrapping bottom. The series as a whole makes more sense when put all together for a smoother cohesive read. Great writing combined with a great narrator make for a wonderful series. The idea for this book was so intriguing, but the characters, plot and unraveling of a mystery made it even better. Very engaging. The level of tension and dilemma was juicy. Narrator Andrea Emmes is a pro. I picked this series largely because of her. if there were an all star team for Narrators she'd be on it. I received this audiobook from The AudioBookWorm for the purpose of this review. All comments and opinions are entirely my own. 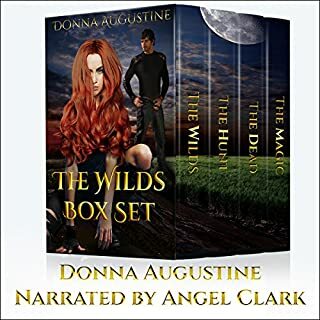 This fantasy romance was such fun to listen to! Beautifully written, and excellently narrated, the listener is sure to be entertained by Remembrance. I was surprised at how clean this book is. No cursing and the romance is mild, though the high school students like to hint in their conversations about their night life. The characters are all well developed, relatable in their actions, and their feelings are portrayed very well back to the listener. The story is quite fascinating and there are just enough surprises and unexpected scenes to keep the listener interested and engaged with Lizzie and Drew’s story. I thought the narrator did a good job in her readings, though I did notice several glitches in the recordings of a few sentences, where I assume the recording was either paused or cut. Though, other than being slightly annoyed at these glitches, I didn’t feel as if I had missed any of the story, so I was pleased with the overall audiobook experience. 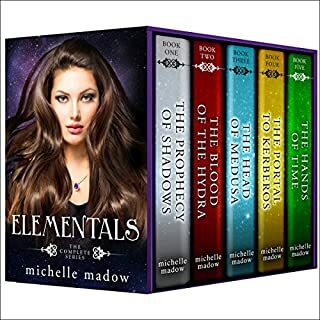 I give Remembrance 4 out of 5 stars and can’t wait to finish the rest of the Transcended Time Saga! Note: I received a comlimentary copy of this audiobook for review as part of the tour. I have had this series on my TBR for quite some time so am excited to be part of the audiobook tour. One thing I find interesting in the way the audiobook is set up, is it is basically all 3 books in one. But, that makes it hard to tell where one book will end and the next will begin until you get to that point as the Audible file doesn’t break it into separate books in the visual chapter menu. I enjoyed the narrator’s voice and really liked the different accents and voices she gave to each character. I am definitely a fan of this type of narration, as it helps get into each character separately. The pacing and tone was enjoyable and this was definitely a good commute to work listen. The story unfolds as our main character Lizzie meets Drew and begins to get flashes of their past life together. Piece by piece she gets the information she needs to believe what is happening and begin to understand her situation. I liked the way the story unfolded, and how she didn’t remember it all right away but only got the glimpses as they mirrored the actions of present day. What got a bit less enjoyable was the high school double love triangle drama. Lizzie already has a long-time boyfriend. Then she meets Drew, who starts dating her best friend. I’m so not into double love triangle drama so that kind of got a few eye rolls from me as it unfolded. Now, I would love to see some illustrations of the drawings Lizzie made. I want to see the dress she wore to the Halloween dance, and the dress she remembers at the ball. I’m glad the book covers show the masks because I was so curious to see those as intricately and beautifully they were described. This book ends well, but you know something bad must be lurking, so I’m curious to finish the rest. A good, overall enjoyable listen. And finally gets me some books on my #shelflove challenge. I liked how we got to see a bit of point of view from the best friend Chelsea. She definitely got the raw deal in book 1, and I was curious if she was part of the whole past life situation too or was just caught up in the web by accident. 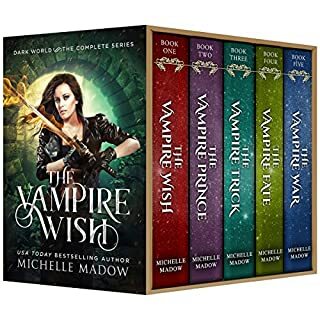 I liked getting to learn about her past and was interested to see how connected everything is and the whole mystic shop and possible witchcraft elements of the story that are introduced. I did have to keep reminding myself who the narrator was in this story, since &quot;I&quot; is now Chelsea and not Lizzie, but following directly behind book 1 and being the same narrator voice threw me off a bit. Short, but set up the final story quite well. The story starts off with a very Final Destination feel as Lizzie's watch stops, then crows start following her. Creepy and awesome to the max! We know what happened since we read Vengeance, but we follow Lizzie and Drew as they figure it out, and see that they were not the only people from the past who have been reincarnated into the present day. I got a kick out of how Lizzie was snooping to find out if her (former) BFF was the one who cast the spell, and the way Chelsea realized what awful chain of events she put into motion. I really enjoyed their trip to England and all the fun accents and descriptions of the way of life back in the Regency days, though I would have wanted more descriptions of the ball, people's clothing, etc. It would be beautiful to watch so I wanted it described more. But most of all, I enjoyed the unveiling of the sinister plan to off Lizzie's former life by none other than (I'm not going to tell you!) and the only way to stop the echo of the past in the present day was to get to the bottom of what happened back then. I enjoyed that plot line, certainly a fun murder mystery through time! A great conclusion to the two (and a half) book series and definitely could make a fun TV mini-series. I'd love to see all the costumes in play. I don't have anything new to say about the narration as this is a continuation of the full book tour, but I will reiterate that I enjoyed her voice and all the accents she did for each character. I would definitely recommend this to anyone who likes fantasy and young adult! It has your classic tropes: the love triangle, the dark and handsome love interest, the conflicted girl, etc. It is a feel-good, kind of book that I'm sure many people would enjoy. I liked listening to this book rather than reading it ( and not just because the narrator, Andrea Emmes, did a terrific job) because it was a lot easier to imagine the details of setting while listening to the book. The book did a great job in sticking to the historical accuracies of the other time era it was describing other than present day, though I was left wishing that more of the book was spent in the &quot;past&quot; because that era is truly one of my favorites to study and know more about. Lizzie, the protagonist, navigates through the classic high school issues: whether she really likes her current boyfriend (he's a class-A jerk, which was nicely done), whether she should be taking AP classes when she is struggling in the subject, and whether she should be loyal to her best friend or loyal to her love interest. These struggles took up most of the book and that is why I would recommend this book to readers who like young adult. Many of Lizzie's issues are valid ones that many a teenager deals with, and her immaturity in dealing with some of these issues only goes to show that she is the age she is supposed to be in this book. I believe anyone who remembers being a confused teenager will have no issue in relating to the protagonist. There are also many, many references to Pride and Prejudice, which I enjoyed because it is truly one of my favorite books. If these elements sound appealing to you, then I would definitely recommend this series to you! I loved this series so much. I wish there was more in this fantastic series. 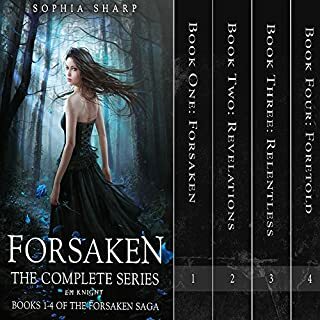 What disappointed you about The Transcend Time Saga: The Complete Series? What was most disappointing about Michelle Madow’s story? This may be a good story but I couldn't listen so I'll probably purchase the actual book since this narrator sounds like a machine. She flew over all punctuation etc. or maybe she has a speech impediment. The worst... audible should get a refund on this narrator. She flew over all punctuation etc. or maybe she has a speech impediment. Hear more than the intro to the book . I would like to hear the books i bought. This is the worst one I've got yet.